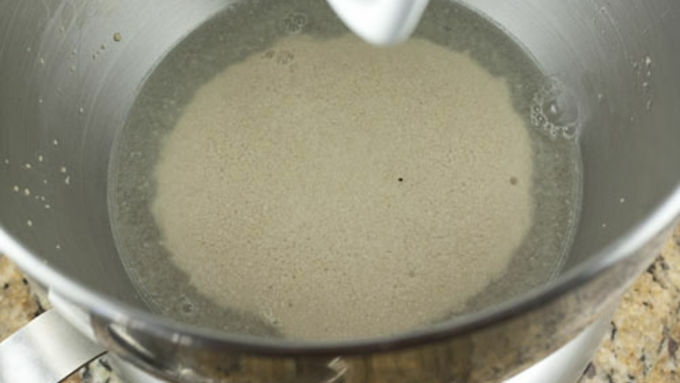 Combine water, sugar, salt, and yeast in a mixing bowl. Let sit for 5 minutes until it starts to foam. Mix in your melted butter and flour. Either mix the dough on low with a dough hook or knead it vigorously with your hands for about 5 minutes. The dough should be very soft and springy. Knead or mix in the chocolate chips and continue to knead until they are well mixed throughout the dough. 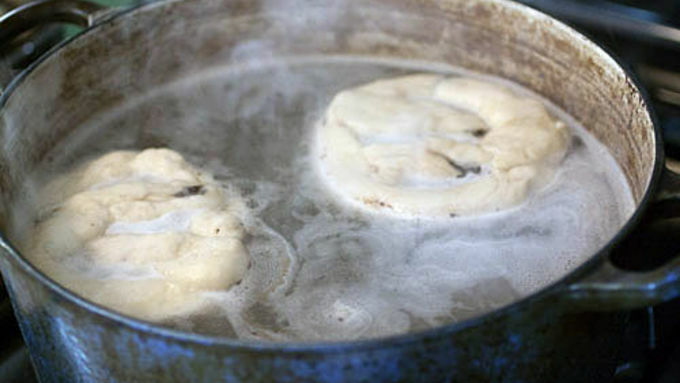 Form the dough into a ball, lightly coat it in vegetable oil, place it in a bowl, and let it rise for 60-90 minutes, until it doubles in size. 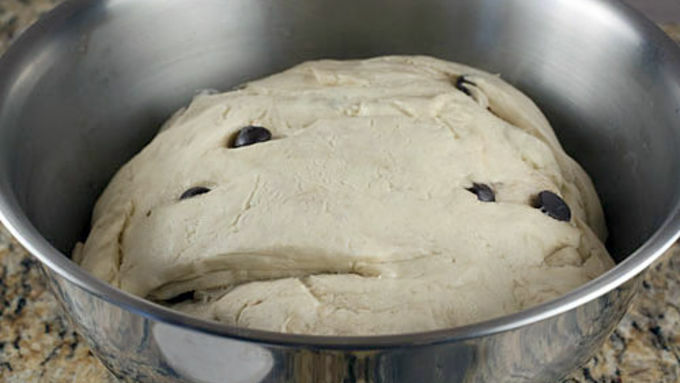 Once dough has risen, divide it evenly into 8 balls. You can weigh them to make them perfect. Working with one dough ball at a time, gently roll it out into an 18 inch strand. Be gentle with it as it might want to break if there are a lot of chocolate chips in one section. Take the left end of the strand and loop it into the center. Then take the right end and loop it over the left and also fasten it to the center. It should now look like a pretzel! Once all your pretzels are shaped, bring a gallon of water to a simmer. Once it's simmering, pour in 1 cup of baking soda. Simmer the pretzels in the water for about 30 seconds per side. Use tongs to flip them over. Once the pretzels have been boiled, brush them with an egg wash and sprinkle them all with pretzel salt. Bake the pretzels on parchment paper at 450°F for about 15 minutes or until they are golden brown. Let them cool for 5 minutes prior to serving them! I have some pretty fun memories of my childhood that seem to mainly revolve around soft pretzels. Going to the mall? Get a soft pretzel. Baseball game? Soft pretzel. First trip to New York City? Soft pretzel, obviously. So when I started cooking seriously one of the first things I wanted to master was, you guessed it, the soft pretzel. 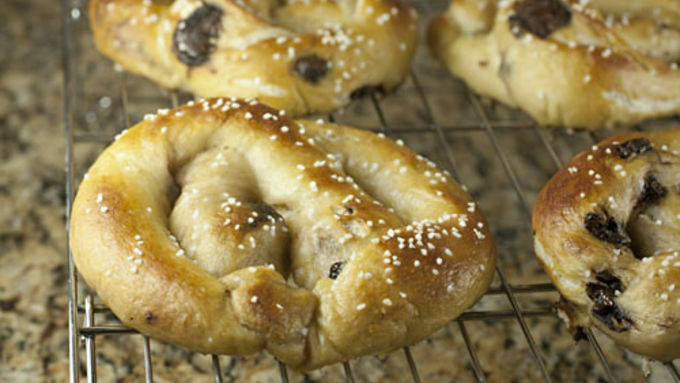 There are two fun reasons why you should definitely make soft pretzels at home: 1) They’re the best when they are super-fresh. When you see them hanging under a heating lamp you can bet that they won’t be top-notch. 2) If you make them yourself, you can mix in other fun things. Like chocolate. And that’s how the chocolate soft pretzel was born. 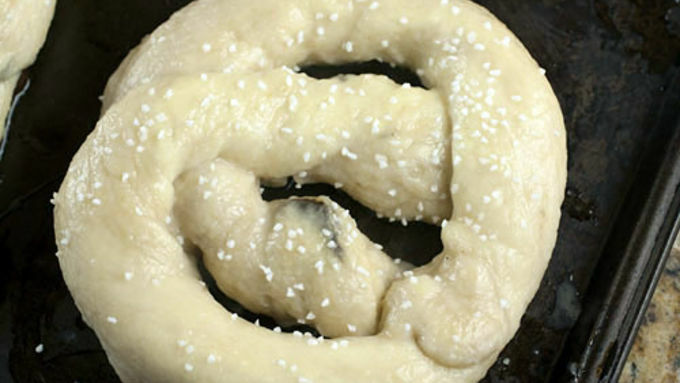 Pretzel dough is one of the easier doughs to make, actually. It’s very pliable and easy to work with. When it comes to the flour part of this recipe, it’s actually fairly important to weigh the flour. If you refuse to do so, it works out to about 4.5 cups, but don’t blame me if your pretzels come out dry. 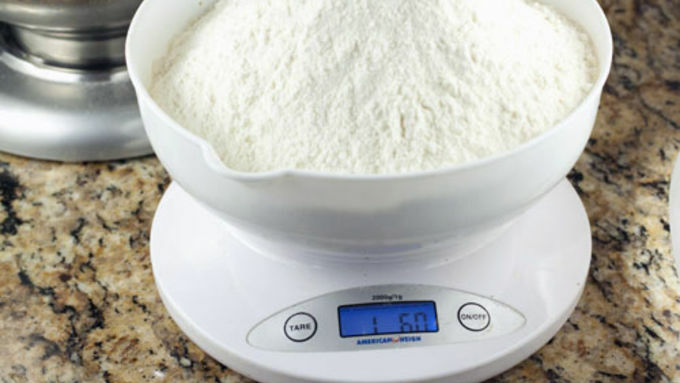 Weighing is always the way to go with doughs. Now, I was making these before I had a stand mixer, so you definitely don’t need one. If you don’t have one, just knead the dough vigorously in the bowl with one hand until it forms a soft ball. This amount of dough will make about eight pretzels so divide your dough up into eight smaller balls. If you want to be a perfectionist, you could weigh your smaller balls so they are all the same. If you were to bake these guys just like this without boiling first, they would be okay, but they wouldn’t have that super-soft interior and crunchy outside that makes a soft pretzel really delicious. To get that texture, we need to boil the pretzels in a baking soda mixture. So bring one gallon of water to a simmer in a large pot and stir in 1 cup of baking soda. NOTE: Be careful when stirring in your baking soda. It’ll foam a lot so add it slowly. If you just dump it in, you’ll have a big mess in your kitchen. Salt is very important to a pretzel. It’s so important, in fact, that they make a special salt just for pretzels called…pretzel salt. You need to get your hands on some of this if you’re going to make real pretzels. Of course, the best part about these pretzels is taking a bite when they are fresh out of the oven. Then the pretzel is warm and salty and the chocolate is still melted and delicious. Really good. I’m not a huge chocolate guy but this is the perfect amount of chocolate in something like this. It’s salty and sweet and one of the best snacks ever created! 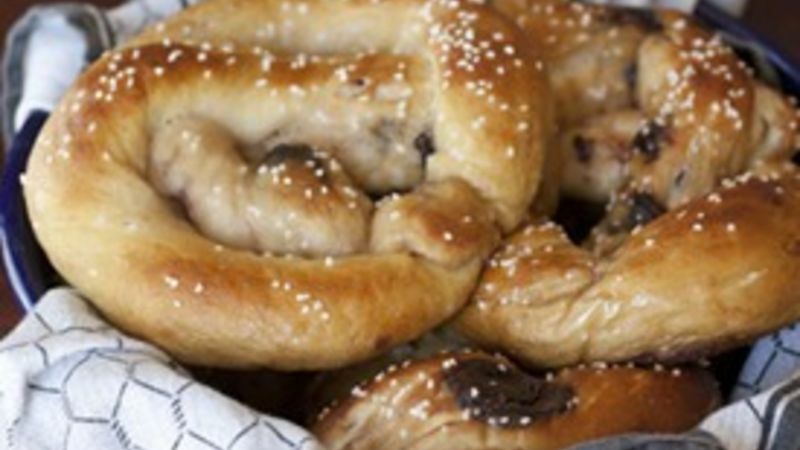 Ready to tie the pretzel knot with these pretzel recipes. Great for snacking and game day!